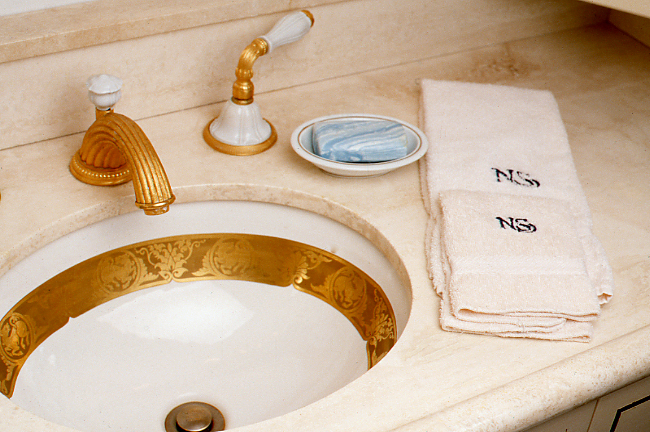 Being a photographer is not always easy if one purports to have principles. Writers, too have a problem. In the early 80s Vancouver Magazine Malcolm Parry offered free lance writer Mark Budgen the plum job (in my opinion) of doing a profile on BC politician (and now to retire as senator a the end of this month). Budgen rejected the assignment citing a difference of opinion on political direction between Carney and himself. The man who took on the job (and I took the photographs) was, Bob Hunter the no less left leaning and co-founder of Greenpeace. While I respected Budgen's decision I thought he was nuts and then just a few years later in 1985 I made a similar "blunder". I was called by a PR minion of the Expo 86 Committee and told, "Mr. Pattison our World Exposition Chairman has chosen you to take his official portrait." I remember answering, "Madam I don't like the man so I will not take his picture." At the time there were several stories circulating about how ruthless the man was. Just a few years after 1986 several Canadian business magazines assigned me to take Pattison's portrait. I explained to those who remembered my initial rejection of the man that in this case I was being assigned and therefore if I was going to remain in the good books of art directors who gave me work it was my duty to be professional. 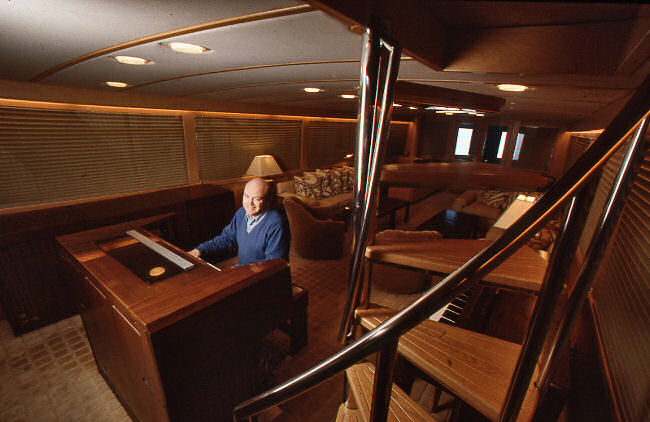 My first situation with Pattison was to photograph his boat, at the time the Nova Springs for a photo essay I was doing on interesting BC ships and yachts. Getting an appointment with Pattison was easy and I was warned to be on time. He posed for me by his Hammond organ and explained that he was no sailor and that he liked his boat as a place for solitude and to tinker with his music which he enjoyed. I was given all the opportunity to photograph the boat but I was amazed to see that the carpeting of the engine room was an off white and there was not a trace of oil on anything. 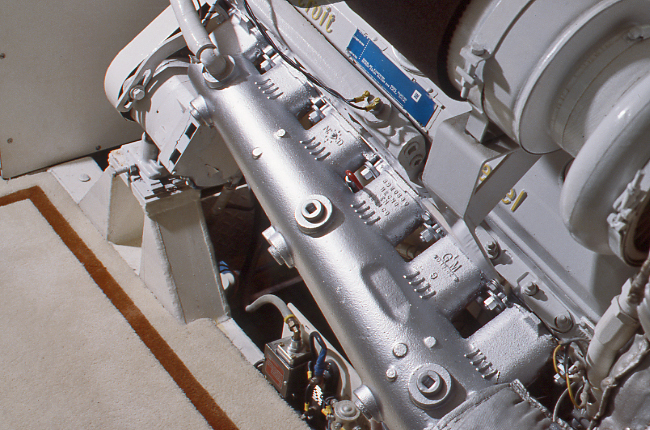 The on board mechanic told me it was quite a job to keep the engine room spotless. I photographed Pattison two more times, once for the Globe & Mail (the horizontal colour photograph) which shows Pattison's unusual taste for ties. 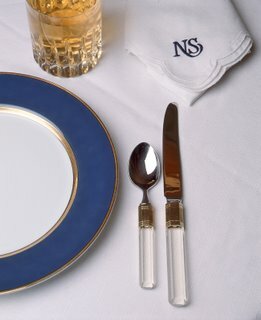 My fave photograph I took for a private club brochure. 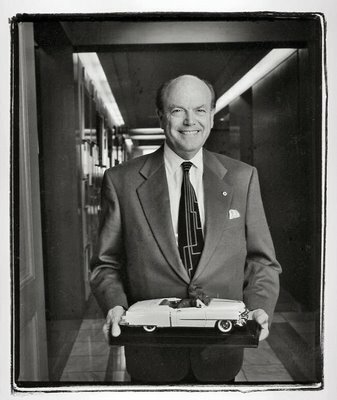 I asked to see Pattison's office a day in advance and I proposed taking his picture holding his model Cadillac. I thought my request would be rejected. His executive secretary called me and told me that my request had been granted but that I would only have the man for three minutes. 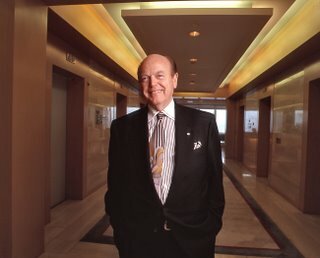 Pattison respects efficiency. I began to understand that. He gave me his undevided attention for exactly three minutes. He thanked me for my punctuality and for my efficiency. While I will not purport to understand that time is money nor do I see the point of amassing millions if not billions of dollars, I have a grudging respect for the man. Rebecca was most impressed when I told her on Sunday night at Dal Richard's party that he was Canada's richest man. I plan to invite both Rebecca and Mark Budgen for tea, soon. Between them they might set me straight.